But that depth of exchange will never come from the brief introductions over wine that normally take place. We must create, and in a sense engineer, an environment wherein exchanges are coaxed along and encouraged to flower into a meaningful dialogue. We can take some steps towards that goal. For instance, experts from different countries could form teams and engage in various activities that will encourage them to loosen up and get to know each other. Unfortunately, it is often assumed in Asia that one must drink alcohol to relax and get to know each other. Nothing could be further from the truth. You can climb a mountain, bake a pie, or sing songs together as a means of establishing a relaxed and inviting environment. But the greatest potential for a deeper exchange of ideas and suggestions for future cooperation does not even require meeting in person, although personal meetings can encourage personal relations. Online written exchanges (chatting with intent) could afford the greatest opportunities. In many cases, written exchanges with individuals one has never met can produce better content and deeper exchanges than actually meeting someone in person. The key for success is to create an environment for these Internet-based discussions that is free from distractions and in which the significance of the dialogue remains preeminent in the minds of the participants. Unfortunately, most online exchanges are exchanges and the product is correspondingly limited. But if we take a few steps to make participants aware of the significance of the “chat” we can create something more significant. It is a great irony that in spite of ICT technology, there was a deeper discourse between leading intellectuals in China, Japan and Korea back in the 18th century than there is today. At that time “penned conversations” (or bitan 笔谈in Chinese) were carried out in literary Chinese between those who met at diplomatic gatherings. Similarly, letters on the most important issues of diplomacy, society, philosophy and literature were exchanged in the pre-modern period, displaying a remarkable attention to detail and involving creative thinking about how to solve problems. As research by Professor Jung Min of Hanyang University has shown, the intellectual engagement between major intellectuals in the 18th and 19th centuries in East Asia was more profound than it is today. Until the 20th century, educated people in East Asia knew classical Chinese well and were capable of carrying on extremely sophisticated conversations in that language. Today, many educated people in East Asia have a good knowledge of English, but they do not necessarily have the command of the language sufficient to engage in a detailed conversation. Therefore, we need to create an environment wherein the important figures from Korea, China, Japan, the United States, and elsewhere, engage in serious online discussions that are mediated by high quality translations that ensure that they can communicate unimpeded about serious topics. What that means is this: If three experts from Korea, China and Japan start an online discussion about a given topic, their posts are translated within a few minutes by professional translators into the two other languages and then posted on the pages that the other experts are using. As a result, online discussion in three or more languages is possible in one’s own language with people one would otherwise never have had a chance to know. We need to create a constant dialogue between experts in Korea, China, Japan and United States, and elsewhere, in which they exchange their opinions in written form with each other and engage in a discourse that is aimed at the long-term improvement of our society. These online “asynchronous symposiums” can be held over a period of a week, and in some cases the content can be published as articles or reports for the general public. One additional benefit of this feature is the potential to include real policymakers in the debate. 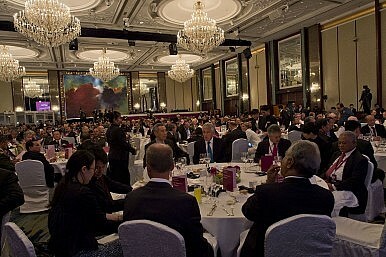 Often diplomatic events are dominated by English speakers, not political heavyweights. An asynchronous symposium offers the potential to create an environment in which the major political or policy heads have a chance to engage in a thoughtful written conversation. If these asynchronous symposiums catch on, we can expect an ongoing online, written communication between policymakers in China, Korea, Japan, the United States, and elsewhere in the future that will serve as the source for long-term meaningful cooperation. A new form of scholarship and diplomacy may emerge from this development, which transforms existing ICT technology into a serious tool for ongoing debate on critical issues by reviving the tradition of the “penned conversations” from Asia’s past.